In an ideal democracy, when people support an idea, their elected representation will too. For instance, if 60% of the population supports an idea then there should be a 60% chance of that idea becoming law. Instead, a Princeton study discovered that for any given idea, regardless of popularity, the idea had a 30% chance of becoming law. No matter how popular or hated an idea it is, there’s a 30% chance that the idea will become law. To quote the Princeton study directly: “The preferences of the average American appear to have only a minuscule, near-zero, statistically non-significant impact upon public policy.” Notice the study says “average American”. If we were to graph this data only the bottom 90% of income earners in America would belong to this group of average Americans. The top 10% of income earners don’t have a flat line at 30%. These apparently more equal Americans have much greater political control than the rest of us. Their interests are much more readily reflected in law. So what makes these people more important than us? Follow the money. Many may remember the School House Rock short that depicts Mr. Bill on Capitol Hill waiting to become a law as he explains the political process of a bill becoming a law. But that’s only half the story. Large corporations or other special interest groups can hire lobbyists who then raise millions of dollars for a politician’s election campaign. Politicians know that about 91% of the time the candidate with the most money wins the election so of course they accept the legalized bribe. However, now the politician is beholden to the special interest group, especially if he expects another donation in the next election. It’s also completely legal for the lobbyists to offer former politicians million dollar jobs at their lobbying firm if they obey the demands of the special interest groups. Sometimes a lobbying firm will even write a part or all of a law for the politician to propose in Congress. Don’t think that the special interest groups have the US citizen’s needs in their interests. A corporation’s number one goal is profit. So bill becomes a law by special interest groups hiring lobbyists who offer campaign contributions and lucrative job, then write the law which helps the special interest groups. This happens in every corner of the government, every day, among both parties. In the last five years, the 200 most politically active companies spent 5.8 billion dollars in the process I just described. In return, they received 4.4 trillion in taxpayer support. This isn’t including every special interest, union, trade association, and billionaire. Over 80%of presidential super PAC money has come from 196 people. Many people believe money in politics became an issue only after the 2010 Citizens United supreme court case but the data goes back decades. Even Teddy Roosevelt was disgusted at the power money has in politics 100 years ago. So for at least 100 years the wealthy have been buying influence in our government, and it’s perfectly legal. This isn’t acceptable. If you’re an American, you should be up in arms crying out for democracy because at the moment you’re not in one. We live in a plutocracy; the wealthy are more equal than the rest of us. It’s because of their influence that pizza is a vegetable in some school cafeterias, we’ve wasted billions on a disastrous drug war, we have the most expensive healthcare in the world, expensive and slow internet, a struggling education system, and one in five children born into poverty. Meanwhile, three of the country’s top ten grossing companies paid zero federal taxes in 2009 and certain industries have enjoyed a 77,000% return on lobbying dollars. Benjamin Franklin and the other founders gave us a responsibility to our country. That responsibility should not be in the hands of a privileged few. If we want to live in a democracy, we’re going to stand up and do something about it. 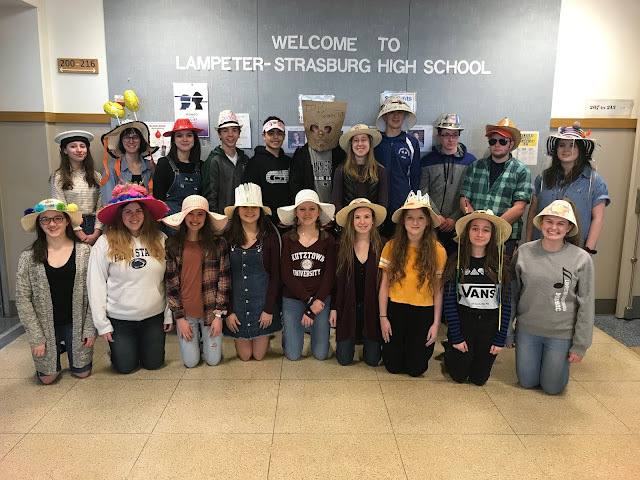 This editorial reflects the collective opinion of the LSNews.org editorial board, and does not constitute an official position of the Lampeter-Strasburg School District. Its lead author was opinion editor Aaron Davies. Questions or concerns can be directed to lspioneernews@gmail.com.